CURT Easy-Mount Combo Electrical Brackets provide a simple solution for mounting wiring to a hitch. The notches design allows access to pin & clip and it mounts to a receiver tube with two provided bolts. 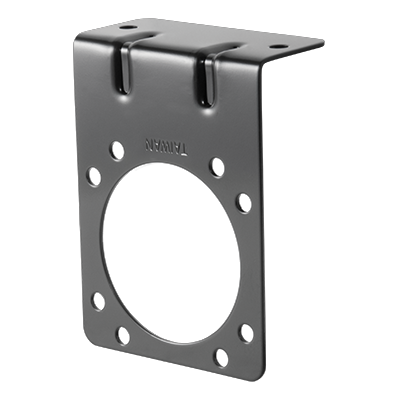 The brackets are made with steel and are made to fit 2 IN x 2 IN receiver tube openings. This bracket is for a 4 or 5-way flat plug.